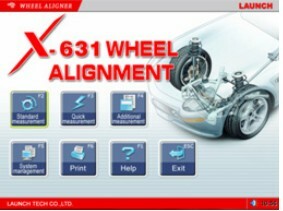 X-631,the wheel alignment system for passenger cars and light trucks up to 6m wheel base measurement. * Complete test: The X-631 Wheel Aligner can be used to measure the most wheel alignment parameters, such as front wheel toe-in, front wheel camber, caster, Kingpin inclination, rear wheel toe-in, rear wheel camber, thrust angle, wheelbase difference, tread difference, axle offset, front wheel setback and rear wheel setback, etc. * Complete databank: wheel alignment data of over 10,000 vehicle models is stored in the system. User can also add new data to the databank. 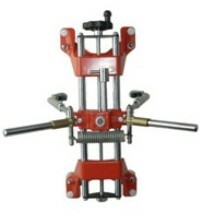 * Kingpin and camber adjustment real time display function. * Infrared 8-beam and 16-sensor loop measurement, accurate and stable. * Newly developed CCD signal processing technology, nearly uninfluenced by the strong sunlight. * Complete system upgrading function. * Unique voice prompt function and visualized animation, very easy to understand. * Trustworthy operating system to give more convenient and safe operations. * Keyboard quick switch operation. * Both special version and common version are provided for user to select. 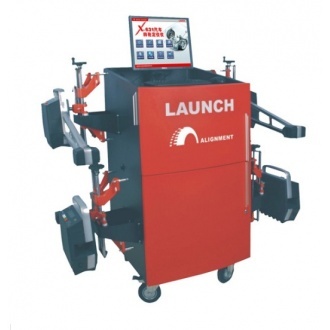 * Both normal version and demonstration version are provided to make user's training more convenient and quick. * Large capacity (4000mAh) Lithium battery with low power consumption and dormancy mode of design. 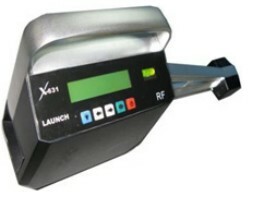 * Camber, toe-in, battery electricity quantity, charging status and electronic level, etc. can be real-time displayed by LCD. * In-block type of casting Aluminum alloy probe rods can strongly guarantee the stability and the test precision of the product.